This is week two of the New Year Refresh hosted by Stephanie over at Casa Watkins Living. Gosh, after today, I only have two more weeks. That’s scary; like majorly scary. In hindsight, since I didn’t preplan for refreshing a room, I probably should have picked a smaller room or a room that could have had a big transformation; or not. 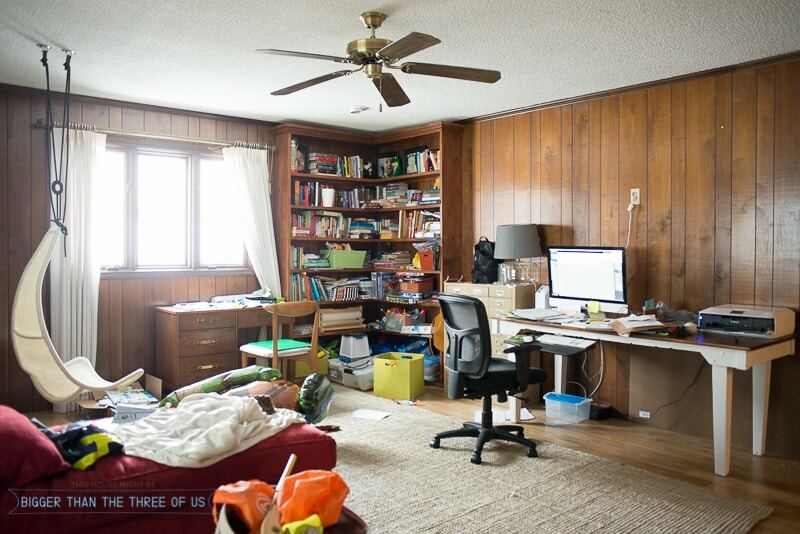 Maybe, real-life-messy to semi-organized or uninspiring to at-least-presentable is something you all are craving. Is it? Please lie to me if not. 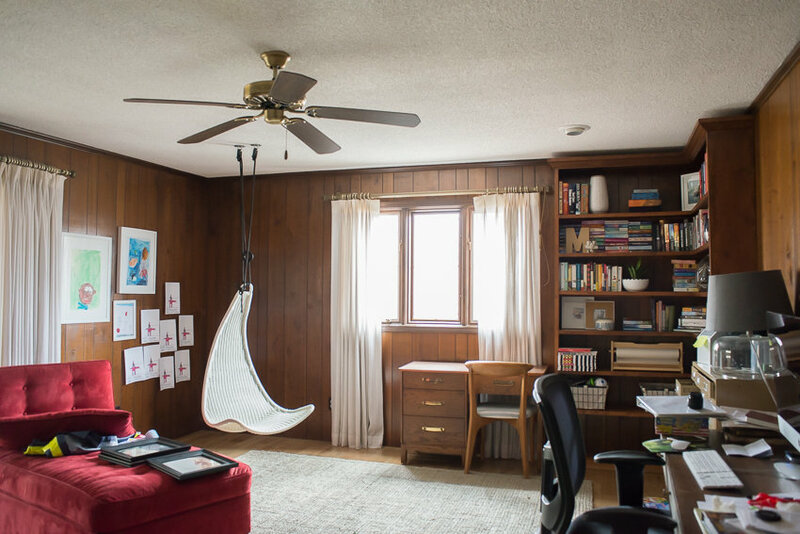 =) With this messy playroom/office situation, I hope you aren’t expecting a drastic before/after; or a drastic styled, light and bright after, anyways. As with any home, any room (or maybe it’s just me…) it takes a while to figure out how to use those bonus spaces. Am I right? You don’t have to answer that… I know I’m right. Well, this bonus space has a purpose yet its purpose will change within the next year or two. So, it’s been in flux and largely ignored to this point. For now, let’s focus on actionable items that we can do (in all our spaces) to create a space that works for us. Today, I specifically want to chat about this space and The Shop Your Home Design Plan. Let me be totally honest and upfront though, there were sponsors for this project. I did receive an amazing desk and light and can’t wait to share those with you; BUT all decor and things are going to be done on the cheap! Well, I hope so anyways. Let’s see what we’ve got going on. 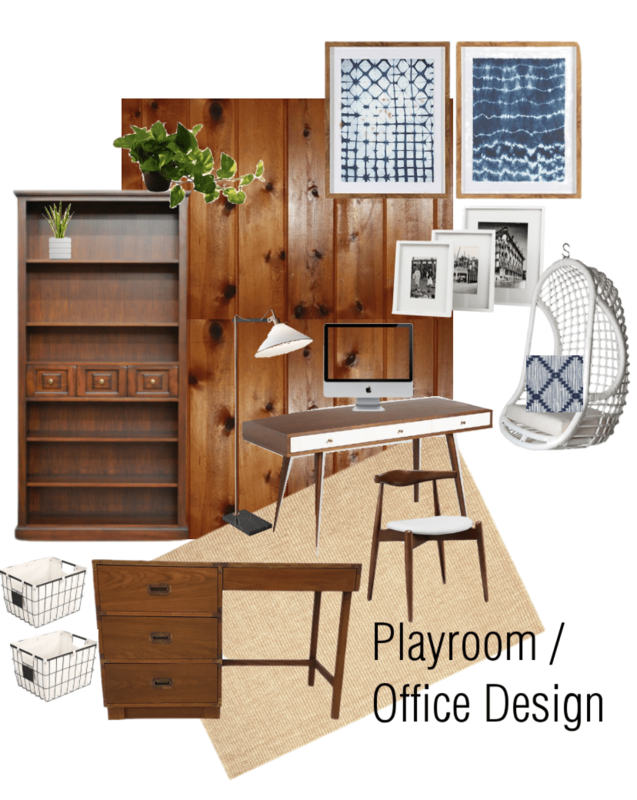 If you want to see more of crazy before – check out the Messy Playroom Office Combo. Totally embarrassing, right? Hopefully you can relate. My goal for this past week was to PURGE, PURGE, PURGE, and let me tell you… I did that! I filled up a truckload and gave it away. It felt so good! There’s still clutter, but much less; and now I can kinda see what I’m working with. What do you think? I think it’s lacking major personality but I think the baseline is OK. I’m working with wood flooring, wood paneling and a dark built-in bookshelf after all. The light is GORGEOUS and it was a sponsored product. You can see it here if you love it too! Same thing with the mid-century desk! I absolutely love it and since I didn’t have a desk to start with (only an old kitchen table), I’m thrilled to have drawers! Besides the new light and desk, I had everything else. The shibori art set has been waiting on a forever home since before Thanksgiving. They look almost perfect in every room of my house and I just couldn’t decide where to put them. I think they can add a lot to this space though. Throw pillows, printable art and a gallery wall should also help liven up the space. My plan is to relocate a few plants to this area to help with the feeling of the space. I also plan to raid my decor closet where I store my extra decor pieces. As far as DIYs, I’m thinking I might make a simple blanket ladder to break up the fireplace area. Another thing I’m thinking about is creating something similar to this wall of plants. How amazing is that space? Ok, so I think that’s it for today. I did round-up some of the items that I already own and you can shop them below if you’d like. Make sure to hop around and check out what everyone else has done this week! 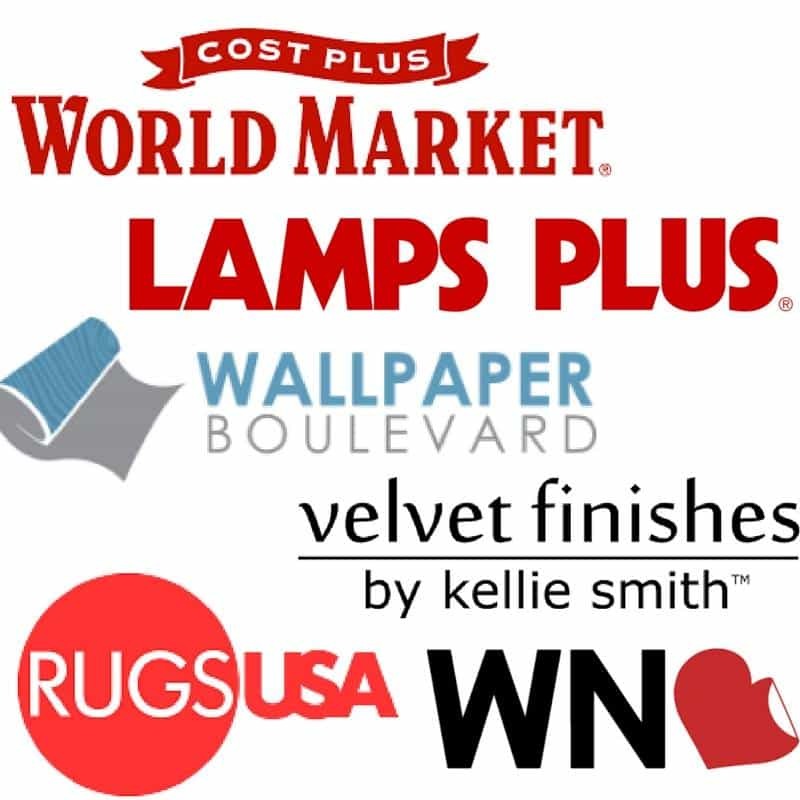 Also, thank you to all the sponsors who wanted to be in on our projects.